Risk Hazekamp solo presentation. Risk Hazekamp lives and works in The Hague and Berlin. 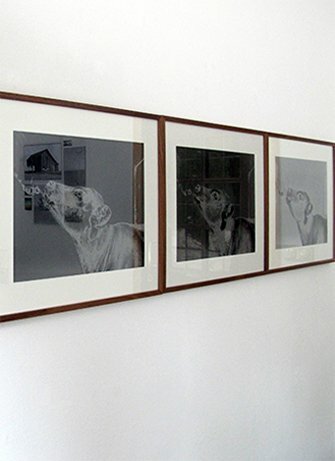 Besides analog black and white photography Hazekamp uses other media in this presentation such as collage, drawing, sculpture and video. There is Anarchy in our Midst stems from the residency of Hazekamp in the heart of The Dust Bowl, in Boise City, Oklahoma Panhandle and draws a parallel between the 1930’s of the last century and the present. Risk emphasizes in her presentation the repetitive nature of time, forming a ‘time loop’ in which past, present and future mix with each other. She poses the argument that Nature and Economics go hand in hand. Risk Hazekamp is a photographer who has earned her stripes with an impressive track record of numerous exhibitions, nominations and prizes. For a long time she profiled herself as an artist who questioned the concept of gender identity. In various projects, in which she herself is featured, Risk aptly shows how fluid gender-identity actually is. Identity is a construct, a social story that is written by others and each other, whether consciously or not. Ironically, this approach placed her in the ‘gender identity photographer’ box which meant that you knew exactly what to expect from her. 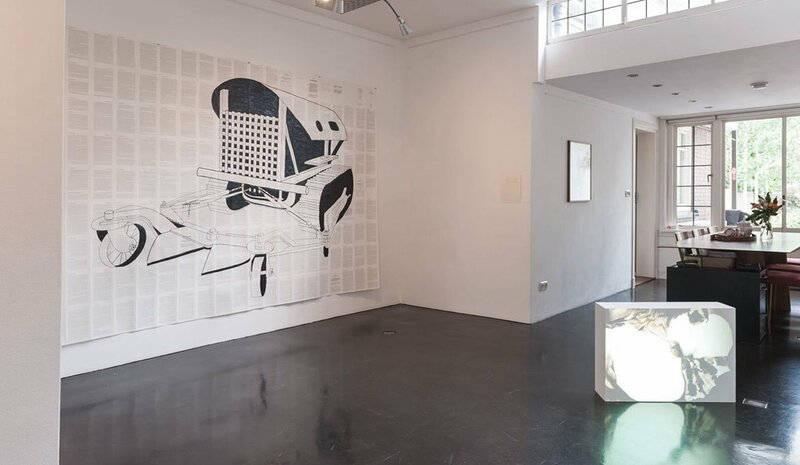 Resisting this stigma, Hazekamp deliberately chose different themes which are, inter alia, reflected in her exhibition There is Anarchy in our Midst. 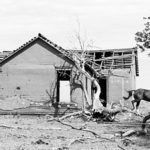 The project consists out of a series of predominantly black and white photographs made during her visit to the United States and is based on the Dust Bowl, a period of extreme drought in the 1930’s, and the economic crisis from that same period. Time appears to be cyclic, for both natural phenomena – even now, parts of the United States are afflicted by unknown drought – as for social phenomena – the photographs have been shot during the low-point of the recent economic crisis. Risk’s aim is for the viewer to reconstruct the story and to let the photographs do the ‘talking’. The photographs show dusty prairies, creaky wooden sheds, decayed factories and billboards that seem to be frozen in time. In viewing them, the photographs seem to put me on the wrong track, almost as if the camera – a device that is known to defy the always on going course of time – secretly looks back in time. Nothing is staged and all the depicted is as it appeared. But of course this does not mean that the region that Risk visited stood still in time: one of the main aspects of being a photographer is being a good selector. In this case, and I do not mean this disrespectful, Risk leaves a lot up to chance within this project. It would detract from the series if everything was set from the get go and if the environment was nothing more than a backdrop for a securely panned out scene. In fact, in choosing the analog path, the photographer by definition is obligated to let go of a fair amount of control, in the sense that the end result only sees the light at home in the dark room far away from their original surrounding. It does not matter to Hazekamp when a photograph turns out differently than expected. ‘Imperfection’, to Risk, is far more interesting than ‘perfection’. Embracing ‘imperfection’ is an integral part of analog photography. Risk likes to experiment with borders. Not just the borders of time or the fluidity of identity, but in this exhibition also with the borders of her own comfort zone. Next to her medium of choice, photography, Hazekamp also applies other media in combination with her photographs in order to tell her story. 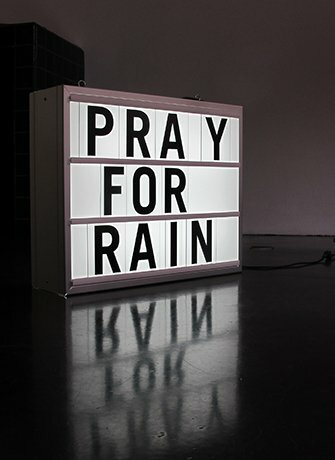 A sign with lead beaten letters which spells PRAY FOR RAIN, was not only found by Risk at a church in the Oklahoma Panhandle, but is now also prominently featured in her atelier and exhibition spaces as a reproduction in the shape of a neon sign. This reduces the distance between the depicted and the viewer almost as if, next to the photographs which remain mere imprints of reality, a small piece of the depicted reality has been brought to us. It remains an illusion, but one which becomes palpably present and therefore maybe appears to be even more ‘real’ than its photographs. And then there is the drawing: a diagrammatic picture of a meaningful beetle-like machine, printed on text imprinted paper, which is worth the read. 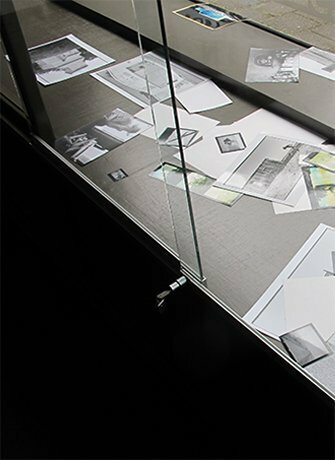 Other deformations can be found in her photography: assembling bricolages containing old press photographs provide her photographs with a less freestanding quality and make for a less autonomous picture. Fortunately, this is exactly what the photographer is after: directing the focus towards the story which the photographs tell in cooperation with each other.